New patch design live in the shop. Here at Angels-Cave we enjoy getting into the traditional British complain about the weather! During the recent heat wave we just wanted rain. This lead to the new range of Weather lovers merit patches. 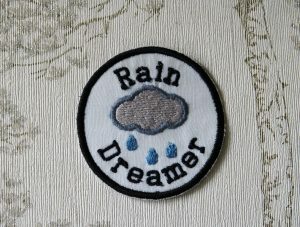 First up is the rain lovers patch. Never be embarrassed to show your true weather loving colours!You can find this patch in the shop, with Facebook and Etsy to follow soon. 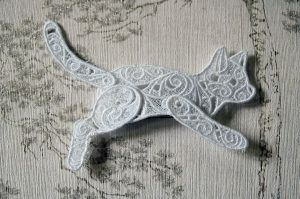 Running white cat is live on the shop. 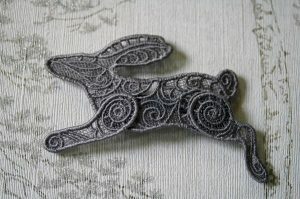 Running gray Hare is now live on the site. One new lacework has been added to the site. I hope you like the little hare.